CELEBRATE: Russell Robertson and Catherine Weatherall celebrate Catherine's victory over her bank. 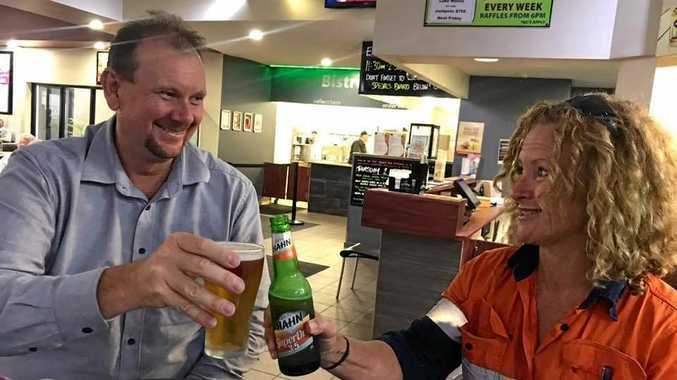 CATHERINE Weatherall and ALP candidate for Capricornia Russell Robertson sat down for a beer on Thursday evening to celebrate Catherine's $270,000 win over her bank. On Thursday morning, the Commonwealth Bank cancelled MsWeatherall's debt following an inquiry to the bank from The Morning Bulletin. Mr Robertson was among those who convinced MsWeatherall to approach The Morning Bulletin following the release of the Banking Royal Commission which had uncovered flaws across the financial sector. "Three days ago, the day after the Banking Royal Commission report was handed down, Cathy and I sat down with the Morning Bully to tell her story,” he said. 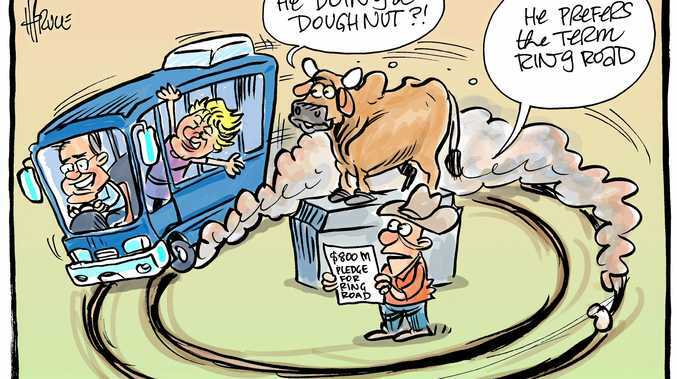 "Cathy is one of the many banking victims across Central Queensland. "She worked hard all her life, but has spent the past six months fighting to get out of debt, caused by her bank's questionable loan practices. Mr Robertson was glad to hear of MsWeatherall's outcome, prompting him to share a schooner with her. "Yesterday was a good day - something incredible happened,” MrRobertson said. Mr Robertson has vowed to keep banks honest if elected later in the year. "Ten-and-a-half thousand Australians submitted to the Banking Royal Commission with a story like Cathy's,” he said. "Let's be really clear, this would not have happened without a Royal Commission to shed light on the banks.